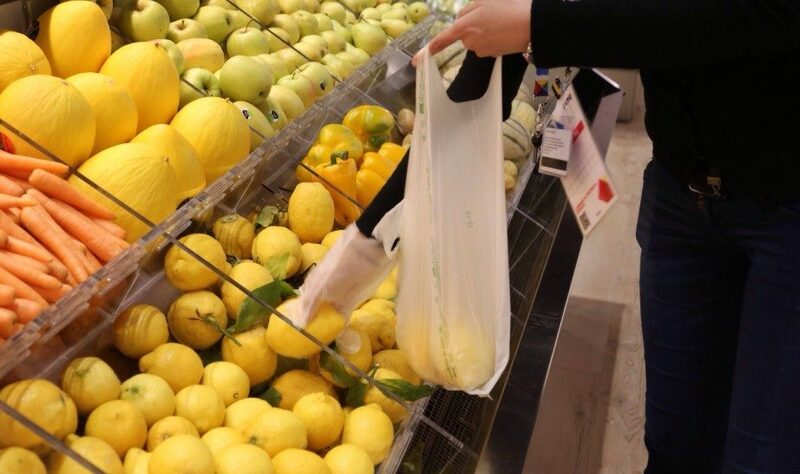 From the 1st of July this year, a ban on selling and distributing disposable plastic shopping bags will come into force in France. The ban will be extended on 1 January 2017 to include bags for the packaging of fruit and vegetables, an exemption being made for bags suitable for home composting. 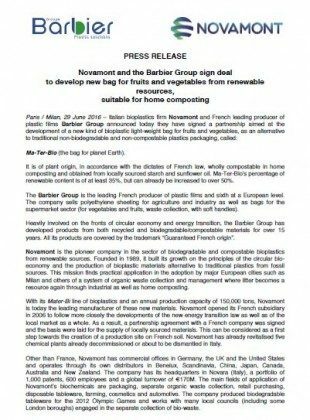 The French group Barbier and Novamont have signed a partnership agreement under which they will jointly develop a new type of bag as an alternative to the traditional plastic bags that are non-biodegradable and non-compostable. The new type bag will be called Ma-Ter Bio. Obtained from French starch and sunflower oil, the bag is of entirely plant origin, in accordance with the requirements of the French law and its implementing decree, and is totally compostable in home composters. The Ma-Ter-Bio bag’s percentage renewability is 35%, but can already be increased to over 50%.